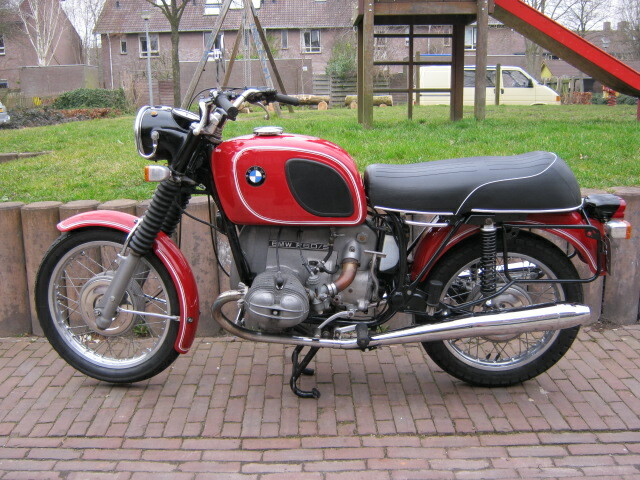 BMW R 60/5 in nice condition. Rides and runs well. New are; exhausts (original model) balance pipe in exhaust, buddyseat and paint from tank and mudguards (handlined) Is with Krauser suitcases. Tires will be worn soon. Bike has matching frame- and engine nrs and is with Dutch registration.